TheLightBulb is a privately owned Essex based company committed to the development and growth not only of their clients employees but of their own. TheLightBulb work in partnership with the Education and Skills Funding Agency to deliver funded Apprenticeships as well as Commercial Training courses across a range of industry sectors, and have a strong focus on staff and business development. Whether you are looking to upskill your existing employees, or take on a new team member, TheLightBulb can help with your recruitment and training needs. TheLightBulb can take the cost of staff development out of your business activities, giving you more flexibility and finance to focus on other areas of the organisation. Based in the Thamesgateway but operating throughout Essex and its borders, TheLightBulb are ideally situated to offer in house bespoke training programmes that are cost effective and extremely rewarding. We take on board your ideas, involve you with the actions so that you can benefit from the results. 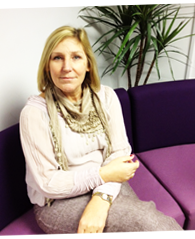 Led by Lesley Jones, who founded the company in 2003, TheLightBulb has grown from strength to strength. Lesley herself embodies everything that the organisation stands for having integrity, strong ethics and a passion for work and equal opportunities which all pave the way for continued success. “I owe a lot of who I am to people I’ve encountered throughout my life, something I hope that is said about members of TheLightBulb team. Our mission, beliefs and values have been created and set by staff throughout the organisation. We believe that everyone should be given the opportunity to shine and be inspired to have a vision of their future. If you don’t have a dream, how are you going to have a dream come true?”. We aim to instil Lesley Jones’s entrepreneurial spirit into individuals who, like Lesley, share the dream of starting and running their own business. Support and mentoring for people from all walks of life will continue to be at the core of the organisations endeavours, ensuring that TheLightBulb remains strong and successful through, and beyond this difficult economic climate. TheLightBulb team are continually looking at new ways to support our clients. Whether it is through funding to support employers with their existing staff or to support people who are looking to improve themselves, gain formal qualifications and develop their career paths. As a prime contract holder TheLightBulb are able to use funds made available by the Education and Skills Funding Agency using matched funding from the European Social Fund to support learners who meet specific eligibility criteria. TheLightBulb is committed to improving and promoting best practice throughout the organisation and ensuring that the wellbeing of learners is safeguarded, that they are protected from harm (including radicalisation and extremism) and feel that TheLightBulb provides them with a safe environment. This will in turn promote opportunities for them to thrive and benefit from their learning experience. TheLightBulb believes that all individuals have a right to freedom from abuse and harm and promotes this throughout the organisation. The organisation has ultimate responsibility for learner protection and will ensure that the arrangements for safeguarding learners are effective, robust and reviewed on a regular basis. As such two members of staff have been designated as Safeguarding Personnel. Please click on the link below to access our sub-contracting policy. Please note that we are not currently recruiting new sub-contractors. If you would like to be kept up to date with all our latest news, government updates, apprenticeship opportunities and much more, provide your consent by entering your email address below!